Back by popular demand, the best-selling author of the Horrible Science series launches his latest book Painful Poison. Learn how to dish up a deadly dose or turn your brother or sister into a zombie slave. Peter Florence (Reino Unido) y su padre, Norman Florence, fundaron en 1988 la organización Hay Festival, que a través de festivales y eventos celebra lo mejor de la cultura y las artes internacionales, con presencia en países como el Reino Unido, donde atrae a más de 200,000 visitantes, España, Irlanda, México, Colombia o Perú. Florence dirige los Hay Festivals y además asesorar y coordina muchos otros festivales y eventos, todos dedicados a celebrar la cultura y el intercambio. The hard-hitting author, whose books are the most borrowed from libraries in Britain, introduces her newest story Best Friends and answers questions about all her books. The Olympian and 110-meters hurdles world-record holder, now a senior figure in UK athletics and a regular commentator, talks about his career and previews the 2004 Olympics with the BBC Wales broadcaster. Ante el éxito obtenido con la saga del detective Edgar “el Zurdo” Mendieta, Élmer Mendoza presenta la primera entrega de la serie protagonizada por “el Capi” Garay, El misterio de la orquídea Calavera. Mendoza es miembro de la Academia Mexicana de la Lengua, así como del Sistema Nacional de Creadores de Arte y del Colegio de Sinaloa. Es además un autor de referencia en novela negra. Hablará con la periodista cultural Mariana H.
The author is joined by the Michelin-starred chef of The Merchant House to lift the lid on those who can stand the head... and relish it. David Rieff (United States) and Enrique Krauze (Mexico) will talk to Ricardo Cayuela about forms of political memory in the Latin American region, the advantages and disadvantages of promoting this exercise of looking at the past, and the link between history and recent political phenomena in countries such as Venezuela, Mexico and Colombia. The Spanish writer and journalist, Sergio del Molino, author of La España vacía, which won the Madrid Booksellers’ Prize for non-fiction, and the Cálamo Prize for best book of the year, will talk to Xavi Ayén about this book and his new novel, La mirada de los peces. The novel starts with a text about his charismatic mentor, the activist Antonio Aramayona, a defender of public education, the lay society and the right to die a dignified death, and becomes a dialogue with the past and with the author’s own memory. The top Prof and literary sleuth delves into what's really going on beneath the perfect surface of Austen's novels. Essential and delightful insider nous for students, Andrew Davies fans and quizzers. La música y la literatura van de la mano en el trabajo de Joselo Rangel (México), uno de los integrantes del legendario grupo de rock en español Café Tacuba. Autor del libro de relatos One Hit Wonder (2015) y cronista agudo, Joselo conversará sobre su doble vida como rockstar y escritor con Renato Cisneros. We're filling up the world wuth technology and devices, but what is this stuff for? And what value does it add to our lives? Thackara's In the Bubble: Designing in a Complex World is about a world based less on stuff, and more on people. This anthology takes a wide ranging journey through English and classic literature, from Oedipus to the present day. Poems, prose and dramatic extracts illustrate the tragic and comic expression of this most fundamental conflict between father and son. In Herefordshire, the historian and his late wife, Julia Trevelyan Oman, have created the largest and most interesting formal garden of the last 50 years. He introduces the garden and its development. One in three of us suffer from stress. Only one in twenty does anything about it. The Times mediacl expert gets us on track. Is there a South Asian identity? Writers Aamer Hussein, Namita Gokhale and Fakrul Alam explore cross border connections and the possibilities of a South Asian identity. El periodista Arturo Wallace conversa con los escritores Francisco Goldman y Gustavo Rodríguez sobre sus libros e intereses literarios. Con Francisco Goldman (Estados Unidos), periodista, cronista y novelista de madre guatemalteca, reconocido por igual en Estados Unidos y en el mundo hispano, autor de títulos tan celebrados como El arte del asesinato político. ¿Quién mató al obispo? (2009), Di su nombre (2012) o el reciente El circuito interior: una crónica de la Ciudad de México (2015). 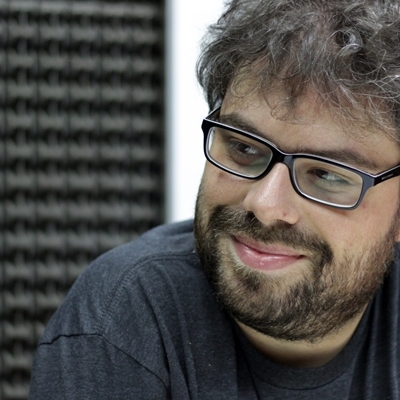 Y Gustavo Rodríguez (Perú), escritor y comunicador, autor de República de la Papaya (2016) o La risa de tu madre (finalista del Premio Herralde en 2003), y galardonado en numerosas ocasiones por su trabajo como creativo publicitario. What does it mean to be a woman writer? Novelists Manju Kapur and Nilanjana Roy and critic Muneeza Shamsie discuss some of the challanges - and opportunities - faced by women writers. Chaired by Tahmima Anam. The Oxford Professor of Government juggles Runnymede, Brussles, woolsacks and gravy trains as he analyses the state of our Democracy. Chaired by Tom Bingham, Festival President and Senior Law Lord. Hilarious, hair-raising fun with the author of the brilliant Georgia Nicholson stories as she entertains us with tales of her new book, And That's When It Fell Off In My Hand. Described by The Sunday Telegraph as 'Bridget Jones for teenagers, but funnier'. The third and final concert relocates to Hay. Haydn: Quartet in E flat major, opus 76/6, 'Fantasia'; Mozart: Quartet in G major, K387; Beethoven: Quartet in C major, opus 59/3, 'Razumosvky'. So You Think You Are Human? The harder we cling to the concept of humanity, the more slippery it becomes. But if it breaks down altogether, what will this mean for human values, human rights, and the defence of human dignity? The encyclopaedic and imaginative historian confronts these problems from a historical perspective, showing how our current understanding of what it means to be human has been shaken by new challenges from science and philosophy. 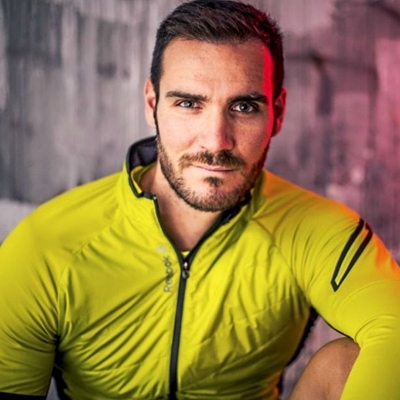 Double Olympic Gold (Rio and Beijing), Triple World Champion, Masterchef Celebrity Contest Winner, author of "4 years for 32 Seconds", young father, canoeist and national policeman, Saul Craviotto lives at 200%. He talks about his personal recipe with Teresa Baca, sports journalist, host of programs about Michelin stars and one of the most international Spanish models of the moment. From Garibaldi and the greatest of them all, Achilles, to David Beckham, the writer explores how the truest mark of the hero is the ability to inspire in others forms of madness: desire, terror or both. Roll up, roll up for the 2005 all-comers competition. Bring your poems and performance. £100 first prize.